The short coming of any affordable projectors today, tomorrow, and probably forever, will be optics. More pricy units will always get more elaborate optics. In this case the main loss is in zoom range (1024 x 768 is not a lot of resolution to ask from modern optics). The XR-10X has a 1:1.2 zoom rage, which ain’t much. This will limit your placement a bit, but as long as you consider this in your purchase and have a way to integrate this into your room, it shouldn’t be a deal breaker. The lens has a manual zoom ring and a manual focus ring, par for the course in the low cost marketplace. Both rings are smooth and provide plenty of control. 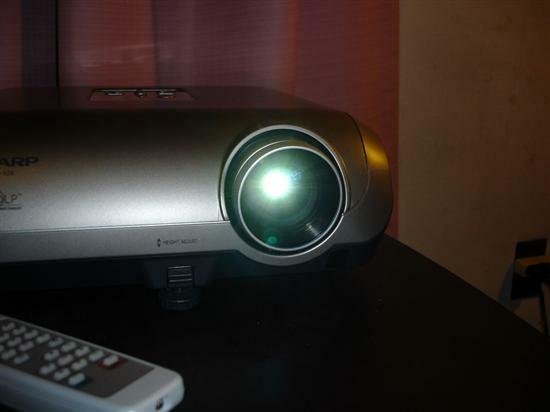 For a projector mainly aimed at educators and business folks, it can handle a wide range of inputs. 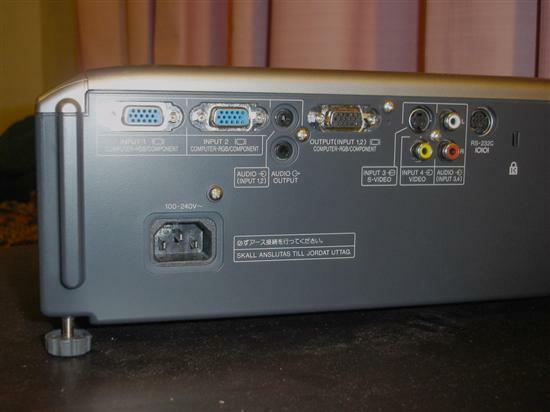 As you can see in the picture, the XR-10X has two VGA inputs, an S-video input, a composite video input, two audio inputs (one shared by the VGA inputs, one shared by the other video inputs). The two VGA inputs double as component inputs with the correct cable. It even has an RS-232 port for computer control of the projector. The top of the projector (or bottom if you decide on a ceiling mount) lets you control the projector without the remote. 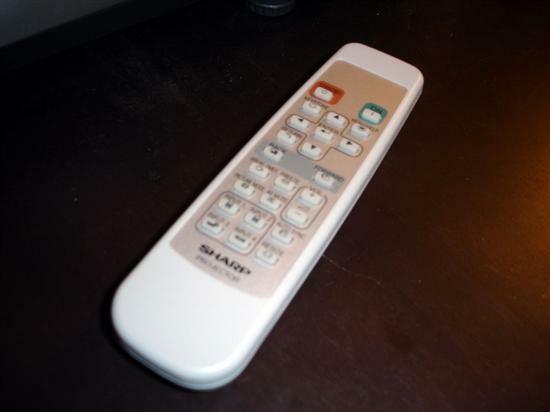 This Sharp comes with a fairly basic remote that does its job well. You can easily navigate the on screen display, adjust the digital keystone, switch input, or operate any of the other features of the projector. The infrared receiver for the remote is located on the front of the projector and works for me at just about any angle I could think of. 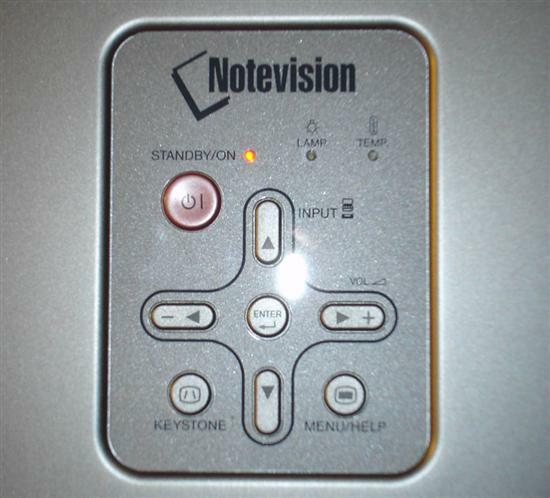 It is also powerful enough to bunch the commands off the screen, so you don’t have to point the remote at the projector at all, quite convenient. The projector also has a speaker though please don’t use it. I certainly haven’t (ok, it did make some noises before I managed to disable it). It is intended for limited duty, not for filling a room or enjoying a movie. I once sat through a whole movie, Gandhi, in a 200 seat lecture hall with only the projector’s speaker for audio. It was horrible.